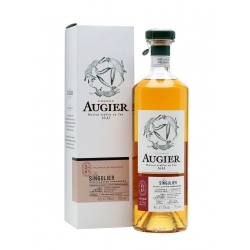 Established in 1643 by a wine merchant, Augier is the oldest of the cognac houses. Its history is one of constant experimentation at a time when the region was discovering the potential of its cognac eaux-de-vie, from unearthing grape varieties and local terroirs to learning about new distillation methods. By limiting production, the company guaranteed outstanding quality and traceability, evidenced by blending records that date back over a hundred years. The company’s integrity and values, acknowledged throughout the region, earned it a reputation as cognac’s “White House” or a byword for probity. 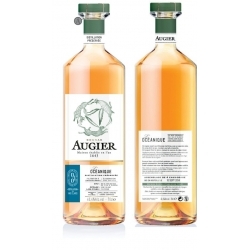 Keen to safeguard this heritage, we have rededicated Augier to its original calling: to strive for typicality, cultivate neglected terroirs and grapes, and create cognacs of singular character. Cognac Augier : Le Singulier. 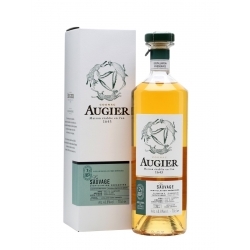 Le Singulier is an exceptionally expressive cognac made from a fine but long-neglected grape. The attack is direct & invigorating. The body is rounded and polished. Intense and complex fruit aromas are counterbalanced by subtle wood notes in the finish.